"Great recipe, but I make some changes. I add chopped onions, some garlic, and use half and half instead of milk. 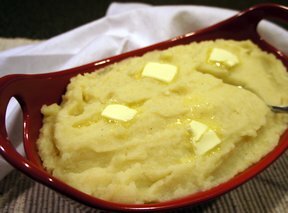 I, also, do add sour cream, too, it makes the mashed potatoes creamier. 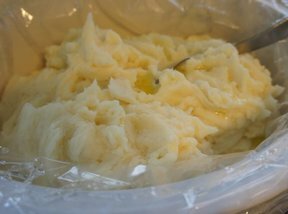 I use a hand held mixer rather than a masher, and if the batch of potatoes is large, I bring out my big mixer." 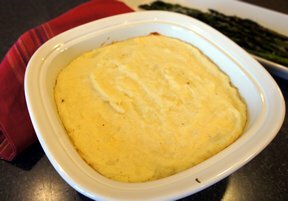 "I liked this recipe because it didn't have sour cream in it. 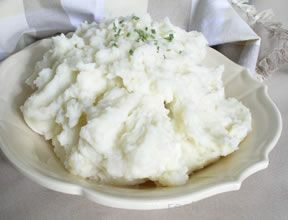 I had to triple the recipe so it made it hard to mash them but I split it into two batches and that worked pretty good. I used a little less milk than what was called for and they turned out great . . . only a couple of lumps!"